For the Church on Blood in Saint Petersburg, see Church of the Savior on Blood. The Church on Blood in Honour of All Saints Resplendent in the Russian Land (Russian: Храм-на-Крови́ во и́мя Всех святы́х, в земле́ Росси́йской просия́вших, translit. Khram-na-Krovi vo imya Vsekh svyatykh, v zemle Rossiyskoy prosiyavshikh) is a Russian Orthodox church built on the site of the Ipatiev House in Yekaterinburg, where Nicholas II, the last Emperor of Russia, and his family, along with members of the household, were shot by the Bolsheviks during the Russian Civil War. 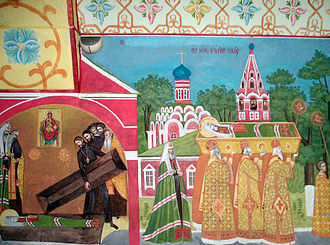 The church commemorates the Romanov sainthood. 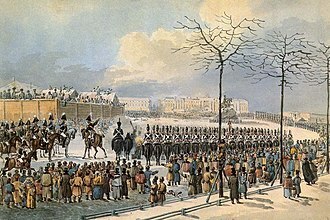 After the February Revolution, the former Tsar and his family were taken captive and held as prisoners during the Russian Civil War. 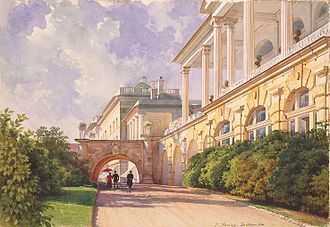 Tsar Nicholas and his family were at first kept at the Alexander Palace at Tsarskoe Selo outside St. Petersburg. Alexander Kerensky, leader of the provisional government moved them to the former Governor's mansion in Tobolsk. 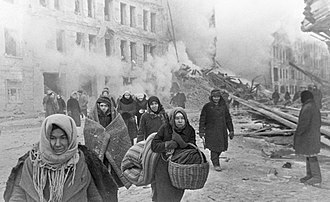 Later they were transferred to the Ipatiev House in Yekaterinburg. 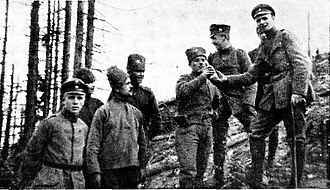 With the advance of the Czechoslovak Legion (fighting with the White Army against Bolsheviks) towards Yekaterinburg, fears of a potential attempt to liberate them grew, and the local Bolshevik leaders, after consulting with the leadership in Moscow, decided to kill the family. 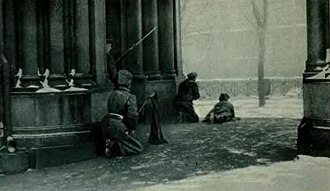 In the early hours of July 17, 1918, the Tsar Nicholas Alexandrovich, Tsarina Alexandra Feodorovna, Grand Duchess Olga, Grand Duchess Tatiana, Grand Duchess Maria, Grand Duchess Anastasia and Tsarevich Alexei—were taken to the basement of the Ipatiev House and were murdered by being shot and bayoneted. 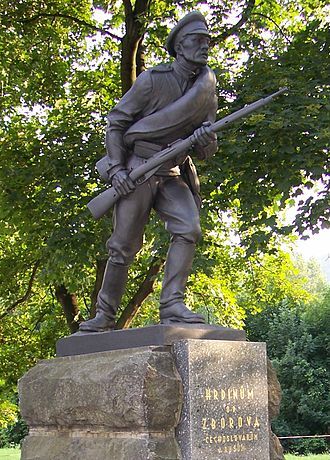 Czechoslovak Legions captured the city less than a week later. The Ipatiev House, built in the 1880s, was a spacious and modern residence owned by Nicholas Ipatiev. 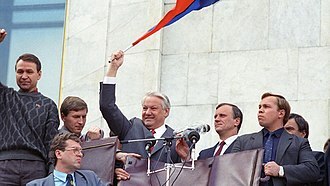 The Ural Soviet gave him two days' notice to leave. Once the building was vacated, the Soviet built high wooden walls around the house. 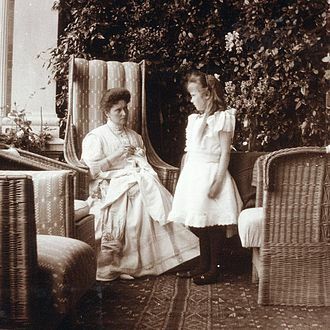 First to arrive among the Romanovs were Nicholas, Alexandra Feodorovna and their daughter Maria. Later, they would be joined by Olga, Tatiana, Anastasia and Alexei. The Romanovs would be held prisoner in their final residence for 78 days. 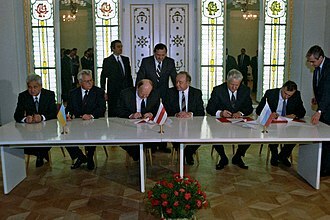 In 1974, the mansion was designated a "national monument"; but three years later on September 22, 1977, a team, under orders from the Soviet government and with the direction of Boris Yeltsin, demolished the house. Yekaterinburg's "Church on the Blood" built on the spot where the last Tsar and his family were executed. On September 20 [O.S. September 7] 1990, the Sverdlovsk Soviet handed the plot to the Russian Orthodox Church for construction of a memorial chapel. After the former Tsar and his family's canonisation as Passion Bearers, the Church planned to build an impressive memorial complex dedicated to the Romanov family. A state commission was gathered and architectural as well as funding plans were developed. 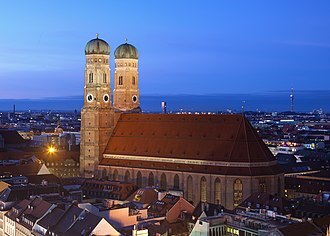 Construction began in 2000. 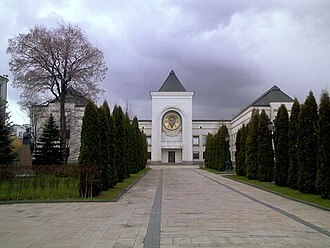 The completed complex comprises two churches, a belfry, a patriarchal annex, and a museum dedicated to the former imperial family; the altar of the main church is directly over the site of the Romanovs' execution. The complex covers a total of 29,700 square feet (2,760 m2). On June 16 [O.S. 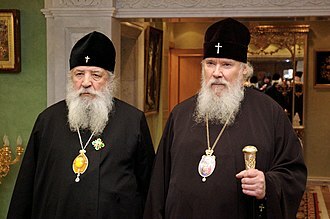 June 3] 2003, 85 years after the execution of the former imperial family, the main church was consecrated by Metropolitan bishop Yuvenaly, delegated by Patriarch Alexy II who was too ill at the time to travel to Yekaterinburg, assisted by Russian Orthodox clergy from all over the Russian Federation. 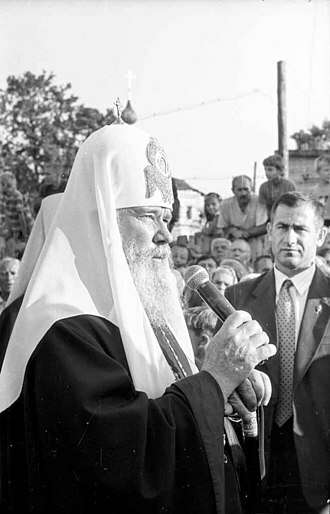 In 2003, President Vladimir Putin and German Chancellor Gerhard Schroeder met in Yekaterinburg and visited the church. Wikimedia Commons has media related to Church on the Blood, Yekaterinburg. 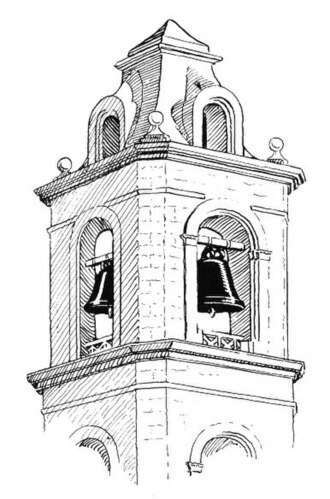 The Byzantine Revival was an architectural revival movement, most frequently seen in religious and public buildings. The basilica followed the rules of 6th century Ravenna architecture, although its order was a clear deviation from the historical Byzantine art. In 1876 Ludwig II of Bavaria commissioned Neo-Byzantine interiors of the externally Romanesque Neuschwanstein Castle, complete with images of Justinian I. Danish architect Theophil Hansen became a supporter of the style in the 1850s, hansens own Neo-Byzantine work include the Holy Trinity Greek Orthodox Church and the Christuskirche in Matzleindorf. 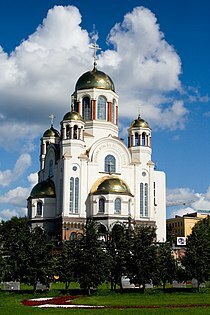 Sophia Cathedral in Pushkin was the earliest and isolated experiment with Byzantine treatment of otherwise neoclassical structures, in 1830s Nicholas I of Russia promoted the so-called Russo-Byzantine style of churches designed by Konstantin Thon. Nicholas I despised true Byzantine art, Thons style in fact had little common with it, true Byzantine art, popularized by Grigory Gagarin and David Grimm, was adopted by Alexander II of Russia as the de facto official style of the Orthodox Church. 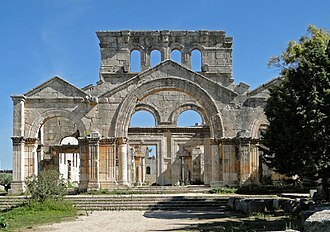 Byzantine architecture became a vehicle of Orthodox expansion on the frontiers of Empire, few buildings were completed in the reign of Alexander II due to financial troubles. 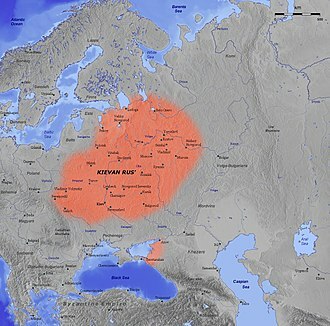 Neo-Byzantine cathedrals concentrated in the provinces, the Army bases in Caucasus and Central Asia, the Cossack hosts. Architects David Grimm and Vasily Kosyakov developed a national type of a single-dome Byzantine cathedral with four symmetrical pendentive apses that became de facto standard in 1880s-1890s. The reign of Nicholas II was notable for the turn from this standard back to Hagia Sophia legacy, peaking in the Naval Cathedral in Kronstadt. Russian Neo-Byzantine tradition was terminated by the revolution of 1917 but was continued by emigrant architects in Yugoslavia and Harbin. Francis de Sales Church in Philadelphia, Cathedral Basilica of St. Louis, in the early 1980s, Philip Johnson designed a Post-Modernist addition to the Cleveland Play House that reflects Byzantine influences, and could thus be termed Neo-Byzantine. Ganina Yama was a 9 deep pit in the Four Brothers mine near the village of Koptyaki,15 km north from Yekaterinburg. 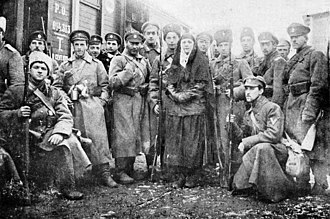 On the night of 17 July 1918, after the shooting of the Romanov family, a week later, the White Army drove the Bolsheviks from the area and launched an investigation into the fate of the royal family. An extensive report concluded that the royal remains had been cremated at the mine, since evidence of fire was found and charred bones. 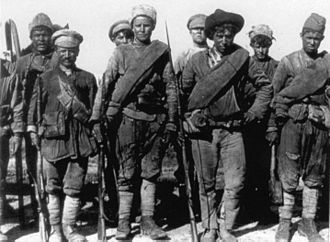 But the Bolsheviks, realizing that the site was no longer a secret, had returned to the site the night after the first burial to relocate the bodies to another area. The secret Bolshevik report on the execution and burial did not give the location of the burial site. 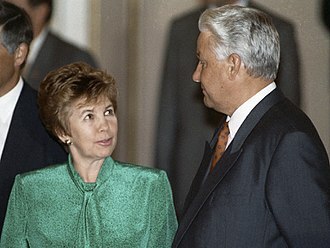 In 1995, the remains found at the Porosyonkov Ravine were identified as Romanovs using DNA from living relatives of Nicholas and Alexandras parents, the Porosenkov Ravine burial pit is marked by a cross and simple landscaping of the burial pit. 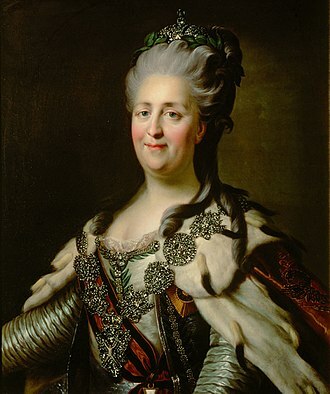 A second, smaller pit was located at the Porosenkov Ravine in 2007 containing the remains of two Romanov children missing from the larger grave, further excavation is planned for the summer of 2009. The Russian Orthodox Church, relying on the White Armys reports in preference to Bolshevik reports, the royal family and their retinue had been canonized in 1981 by the Russian Orthodox Church Abroad. The grounds were dedicated to honor the familys humility during capture. With financial assistance from the Ural Mining and Metallurgical Company, the Church constructed the Monastery of the Holy Imperial Passion-Bearers at the site in 2001, a tall cross marks the edge of the mine shaft, visible as a depression in the ground. Seven chapels were constructed at the site, one for each member of the royal family. Each chapel is dedicated to a saint or relic. 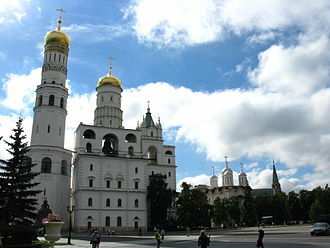 The katholikon is dedicated to the Theotokos Derzhavnaya, a particularly revered by the monarchists. On the anniversary of the murder, a service is held at the Church of All Saints on the site of the Ipatiev House. At daybreak, a procession walks four hours to Ganina Yama for another ceremony, the former mine pit is covered with lily plants for the ceremony. 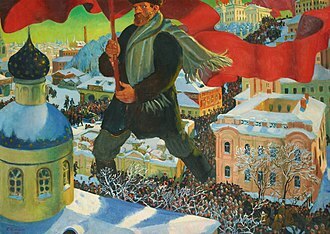 The Tsar and his family were killed by Bolshevik troops led by Yakov Yurovsky under the orders of the Ural Regional Soviet. Their bodies were mutilated and buried in a field called Porosenkov Log in the Koptyaki forest. The emergence of Romanov impostors drew media attention away from Soviet Russia, the burial site was discovered in 1979 by an amateur sleuth, but the remains were not made public until 1989, during the glasnost period. 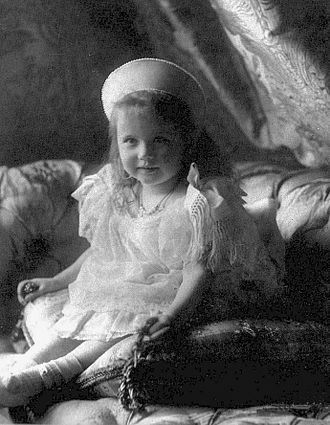 The identity of the remains was confirmed by forensic and DNA investigation, a second, smaller grave containing the remains of two Romanov children missing from the larger grave was discovered by amateur archeologists in 2007. However, their remains are kept in a state repository pending further DNA tests, in 2008, after considerable and protracted legal wrangling, the Russian Prosecutor Generals office rehabilitated the Romanov family as victims of political repressions. A criminal case was opened by the government in 1993. 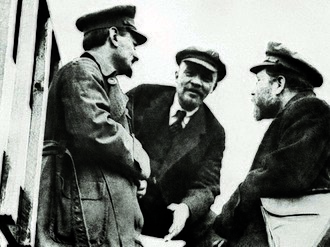 This is supported by a passage in Leon Trotskys diary, Lenin had close control over the Romanovs although he ensured his name was not associated with their fate in any official documents. 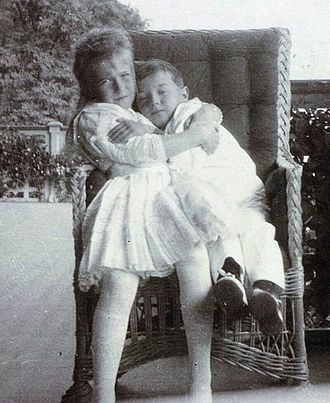 President Boris Yeltsin described the killings as one of the most shameful pages in Russian history, on 22 March 1917, Nicholas, no longer a monarch and addressed with contempt by the sentries as Nicholas Romanov, was reunited with his family at the Alexander Palace in Tsarskoe Selo. 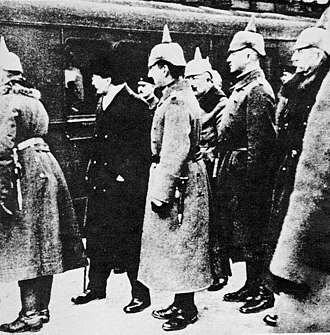 He was placed under house arrest with his family by the Provisional Government, surrounded by guards, in August 1917, Alexander Kerenskys provisional government evacuated the Romanovs to Tobolsk, allegedly to protect them from the rising tide of revolution. There they lived in the governors mansion in considerable comfort. After the Bolsheviks came to power in October 1917, the conditions of their imprisonment grew stricter, Nicholas was forbidden to wear epaulettes, and the sentries scrawled lewd drawings on the fence to offend his daughters. 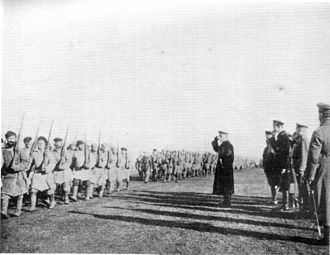 On 1 March 1918, the family was placed on soldiers rations, as the Bolsheviks gathered strength, the government in April moved Nicholas and their daughter Maria to Yekaterinburg under the direction of Vasily Yakovlev. Another detail of the facade. Nicholas II with his family. (left to right) Olga, Maria, Tsar Nicholas II, his wife Alexandra, Anastasia, Alexei and Tatiana.